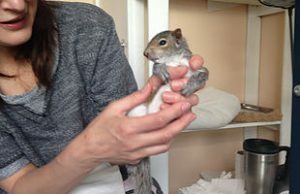 This is a London-based licensed squirrel rescue, specializing in baby squirrels and offering an informal rescue consultancy. Please note that the following is for information only: it should not be read as encouragement to hand-rear baby squirrels without a licence or without proper training. As a London-based squirrel rescue, we get very full very quickly. So, if you ring us, we may advice you to contact another rescue group. 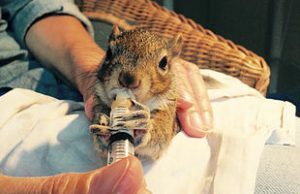 EMERGENCY APPEAL: THE GOVERNMENT IS MAKING IT ILLEGAL TO RESCUE SQUIRRELS – PLEASE ACT! We are licensed by Natural England. We believe that every life is precious and that every animal deserves a chance, regardless of its species. Please refer to the “Essays and book reviews” section for more information. 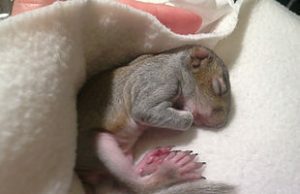 – if she doesn’t, contact a squirrel-friendly wildlife rescue group and follow their instructions. At the present moment, the best way to contact Urban Squirrels is by calling 07415983900.